Congregations sometimes have difficulty giving up a familiar older hymnal when a new one arrives on the scene. In many ways, the story of this hymn from the late seventeenth and early eighteenth century is also about the transition between old ways of congregational singing giving way to new trends. Any comparisons with changes in congregational song practice today are invited. With Nicholas Brady (1659-1726), a canon at Cork Cathedral in Ireland, Tate published A New Version of the Psalms of David in 1696. This collection was the "new version" because it attempted to supplant the "old version" by Thomas Sternhold (d. 1549) and John Hopkins (1520/1521-1570) titled The Whole Booke of Psalms that had been published in 1562, over 140 years earlier. The Supplement of 1700, a supplement to the “new version” in which our hymn appears, was bound with the Anglican Church's Book of Common Prayer, giving it an even greater influence for years to come. King William III approved this “new version” for worship. In this day, singing a congregational song based on anything but the psalms was very unusual. Psalm singing was the usual practice during the era of Nahum Tate (c. 1652-1715) in England. In those days, Tate would have been known, among other things, as the writer of metrical psalms — hymns that paraphrased a psalm directly from Scripture and placed it in a poetic form with rhyme and a specific meter — with the goal of neither adding nor deleting any content from the text of the psalm. “While Shepherds Watched Their Flocks” is unusual for its day in that it follows this practice, but rather than being based on a psalm, it is a metrical paraphrase of Luke’s account of the nativity. The practice was based on those churches following the lead of John Calvin (1509-1564), whose Genevan Psalter (1551) provided congregations with all they needed for singing in public worship. Furthermore, the practice was to sing the psalms unaccompanied in unison. A worship leader would "line out" each line of the hymn; that is, the leader would sing each line in advance so that the congregation could hear the melody and repeat it. The Supplement to the New Version of Psalms by Dr. Brady and Mr. Tate (1700) indicates a slight loosening of the stranglehold of metrical psalmody by also including, in addition to this Christmas hymn, hymns for Easter and for Holy Communion. in Bethleh’ms plains by night. and fill’s the plains with light. Tate’s paraphrase, though straying too far from Scripture for some, was closer to the wording found in the King James Version, an important qualification of earlier metrical versions. This later paraphrase, while still close, indicates a loosening of the metrical paraphrase standards, allowing for a little more flexibility. All six of the original stanzas appear in The United Methodist Hymnal with only minor adaptations for the purposes of inclusive language. Between the publication of the “old version” and “new version,” the English language had undergone considerable changes. The “old version” of 1562 was based on the translation of the psalms by Miles Coverdale (1488-1569), whose lyrical cadences shape the Psalter used in the Book of Common Prayer in the Anglican tradition to this day. The “new version” appeared after the publication of the King James Bible was completed in 1611. Thus, the standard for the Scripture upon which a metrical psalm would be based shifted. It is interesting to note that the “new version” was not greeted unanimously with acclaim. Like Tate’s other literary endeavors, it received its share of criticism. Just as today’s singers develop affection for particular hymns and do not appreciate changes, many of those who loved the then antiquated (nearly 150 years old) and, at times, clunky metrical psalms of the Sternhold and Hopkins’ “old version” did not take kindly to Tate’s and Brady’s work. As a result of the critiques received, Tate published a defense of the “new version” in 1710 titled An Essay for Promoting of Psalmody in which he claimed that faithfulness to the “original” Scripture must be balanced by “elegance.” In this defense, he wrote, “Is not an Elegant Manner of Translating these Divine Odes, as just a debt to the Psalmist, as to any Other Poet?” Just as parishioners sometimes find it difficult to give up a beloved old hymnal for a new one, given time, they usually embrace the newer hymnal. Tate’s and Brady’s “new version” stood the test of time and remained in use in the Anglican Church over 200 years, well into the nineteenth century. The 1700 Supplement indicated that this text might be sung “to any of the Tunes of Common Measure [Common Meter, 8.6.8.6], printed toward the end of this Supplement.” One of those tunes was WINCHESTER by cathedral chorister Thomas Ravenscroft (b. ?1589 – d. ? ), now known as WINCHESTER OLD. British churchgoers prefer the venerable WINCHESTER OLD (Hymn 470 in The United Methodist Hymnal). One can often hear this text sung to that tune on Christmas Eve in broadcasts of the King's College (Cambridge) Service of Nine Lessons and Carols. As is often the case, hymn singers in the United States know this text to a tune that is different from that of our British friends. CHRISTMAS, the tune used most often on this side of the Atlantic, is based upon a soprano aria by G. F. Handel (1685-1759). The famous Boston music educator Lowell Mason (1792-1872) used a setting of this tune that he found in James Hewitt's Harmonia Sacra (1821) in his Boston Handel and Haydn Society Collection of Church Music (1821), and this has been the favorite on this side of the Atlantic since then. Because of the melody, the last phrase of each stanza must be repeated, giving the feeling of a bit more space in the reciting of the narrative. 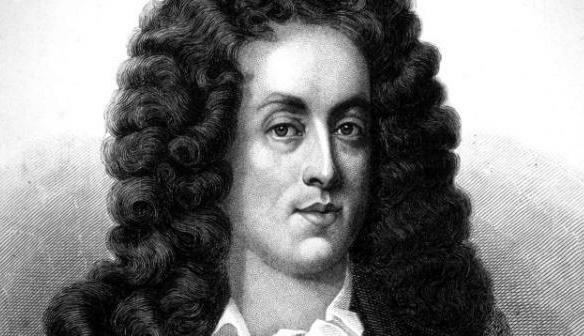 Nahum Tate was born in Dublin and educated at Trinty College, Dublin (BA 1672), but moved to London in 1688 to enter the literary circles there. He became friends with John Dryden (1631-1700), whose poem “Fairest Isle, All Isles Excelling” served as the inspiration for the opening line of Charles Wesley’s famous hymn, “Love Divine, All Love’s Excelling” a generation later. Tate published poems and prepared translations of ancient classic works by Roman masters Ovid and Juvenal. 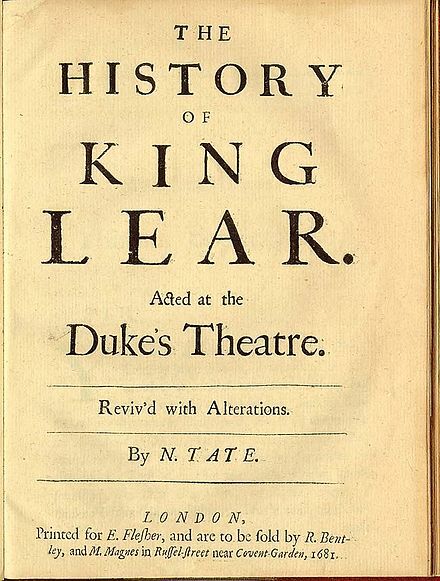 He also wrote for the stage, including a revision of the end of Shakespeare’s King Lear (c. 1606), so that it may conclude happily (! ), to which British professor of literature and hymnologist J. Richard Watson commented that this was “not such a silly idea as it sounds: Dr. [Samuel] Johnson approved of it, and it was played as the normal stage version until Victorian times” (Watson, Canterbury Dictionary of Hymnology). Tate’s literary efforts earned him the title of poet laureate in 1692 and royal historiographer in 1702. J. Richard Watson. "Nahum Tate." The Canterbury Dictionary of Hymnology. Canterbury Press, accessed February 25, 2018, http://www.hymnology.co.uk/n/nahum-tate. _____. "While shepherds watched their flocks by night." The Canterbury Dictionary of Hymnology. Canterbury Press, accessed February 25, 2018, http://www.hymnology.co.uk/w/while-shepherds-watched-their-flocks-by-night.